I’ve been a fan of Denyse Beaulieu’s Paris-based Grain de Musc blog for a while—I like her taste, her tone, and her literary style. 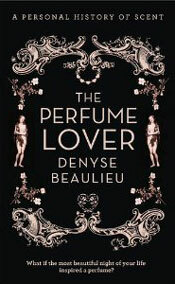 So I’m looking forward to the (UK) release of her new book The Perfume Lover, due out on March 15, 2012. In The Scotsman today, Lee Randall has an excellent appreciation of Beaulieu, based on attending one of the perfume courses she teaches periodically at the London College of Fashion. Rosewood Hotels & Resorts is pleased to announce the addition of yet another unique service that will make traveling easier and stress free. Now, when guests check into one of Rosewood’s iconic city properties, they will have gratis access to a dedicated 24-hour Fragrance Butler.
. . . guests can ring the Fragrance Butler at any time, and the butler will appear at their door, carrying a silver tray with ten luxurious fragrances for guests’ use. After selecting the fragrance of their choice, guests will mist themselves and the Fragrance Butler will disappear with the tray until he or she is rung again. Jeeves faded from the room in that rummy way he has, and I took the opportunity to wash down a tab of X with snort of brandy. 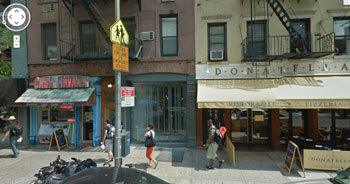 Soon he rematerialized with a freshly pressed set of downtown threads. I climbed into the black A|X Sateen Five Pocket Pants, donned the black Chain Link Shirt, and was inserting the shapely Wooster toes into a pair of black Steve Madden boots when a sudden inspiration entered the old bean. I plopped the self down into the big leather chair and sparked up a largish doobbie-wah. 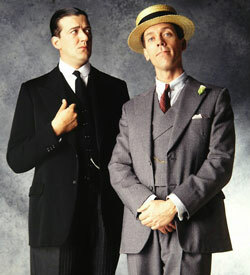 I was leisurely exhaling a cloud of Malawi Gold when Jeeves returned to the dressing room. That is to say, he didn’t exactly enter it so much as he flowed into it. He was bearing the silver fragrance tray. “What’s that?” Sometimes the man’s impertinence simply pushed the expansive Wooster envelope beyond the tearing point. “It’s the best clubbing scent imaginable,” I insisted. There was something in his tone that grated on the auditory organs, but before I could summon a reposte, the iPhone warbled and I found myself in animated conversation with Harold “Stinky” Pinker. 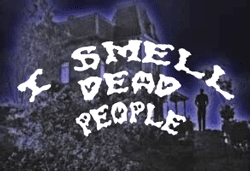 The headline—“Man borrows car, finds body in trunk”—ignores the key olfactory element. The story, in fact, reads like a classic myth: Pandora’s Box, Lot’s Wife, or even Orpheo and Eurydice. Kirby Mack needed to borrow a car. 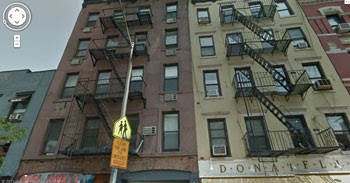 Friend James Sheets II told Mack he could use a gold-colored sedan parked outside the Tampa hotel room he was renting. There was one condition: Don't look in the trunk. 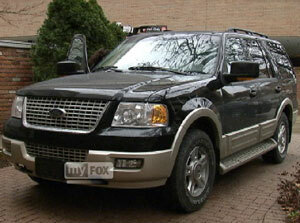 But Mack “noticed a foul odor” coming from the trunk and opened it. The body later was identified as 79-year-old real estate developer Henry Shell, who had been reported missing since Monday. While we’re on the topic of cars, a couple from New Baltimore, Michigan is suing a car dealership for selling them a 2006 Ford Explorer that, they claim, smells like the dead body it once contained. Here’s how the pros would deal with the problem . . .
Another intriguing headline: “Police investigate torso found in suitcase off Thruway in Yonkers.” The head, legs, and hands were missing. 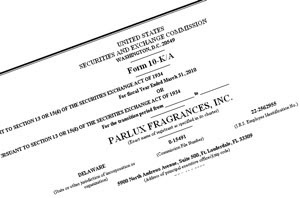 Is there an olfactory connection? You betcha. The discovery was made about 1:40 p.m. Monday, when Yonkers Department of Public Works employees came across the suitcase, which they told police was giving off a foul odor. The employees had been clearing brush in the area. Neighbor Jim Molan, who has lived nearby for 20 years, said he recalls two other bodies that were found dumped several years ago, a few hundred yards to the north. He figures this is a convenient disposal area, just off the Thruway. This apparently is not the first time bodies have been dumped in the area, as at least two other bodies have been discovered in the vicinity in the past. Mamaroneck village police, in a similar case, were unable to identify a woman's torso that was found in a suitcase that washed up on the beach in 2007. Two legs washed ashore in Long Island that belonged to the torso. The headline from the Austin American-Statesman is not compelling: “Detective: Man convicted of murder wrote note saying wife shot herself.” However the lead paragraph gives us another nominee for the 2011 Norman Bates Award, one John Malcolm Nordstrom III. A man who killed his wife and then lived with her decomposing body for about a month last year wrote in an apparent draft suicide note that she had shot herself, according to testimony at his murder sentencing trial Wednesday. “A Little Touch of Paris”? Public Toilet Failure in S.F. San Francisco Chronicle columnist C.W. Nevius steps into one of the “automated, self-cleaning public toilets,” scattered around town and doesn’t like what he sees—or smells. His report pretty much jibes with my experience. Nevius reports that many of the city’s 25 self-cleaning toilet kiosks have problems or are not even operational. Nor is the problem confined to S.F. As other cities have found, the automated route just hasn’t provided much help. 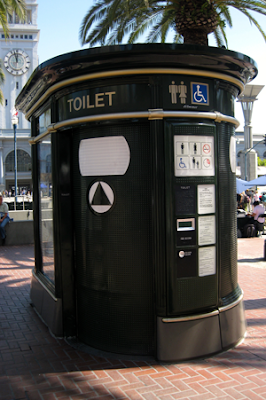 In 2004, Seattle spent $5 million to install automated public toilets. Four years later, lamenting that they had become so dirty and dangerous that even street people refused to use them, the city put them up for sale on eBay. 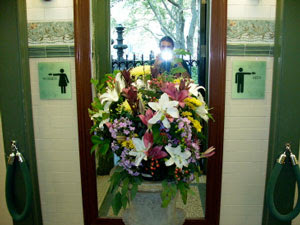 Nevius contrasts this with a study of the well-received supervised public washrooms in Bryant Park, behind the New York Public Library. That 2010 paper was written by Irus Braverman, an Associate Professor at the SUNY Buffalo Law School. In it, she interviewed Jerome Barth, Director of Operations for New York City’s Bryant Park Corporation, who gave several reasons the public prefers facilities with attendants over the automated ones. First off, he says, “People are just not accustomed to the automated toilets.” They can be puzzling and frustrating to use. The last time I was on a New York subway malodor hunt with a reporter, I kept pointing out the many padlocked public restrooms in the station. I’ve never actually seen one open for use. Wouldn’t clean, well-lit and attended restrooms reduce the smell of urine and feces that plague the subway system? As a rugged, low-tech solution, the pissoir can’t be beat. (I know, how often do I praise anything French here at FN?) It’s essentially a wall of running water, discretely hidden from view by shrubbery or a baffle wall. My favorite pissoir is the one on the Île de la Cité in Paris, located in the gardens behind the cathedral of Notre Dame. You stroll in, unzip, and relieve yourself in the fresh air, under the towering chesnut trees. What could be better?